More and more couples now want to choose how they would like to celebrate their marriage or partnership; a ceremony that truly reflects them. 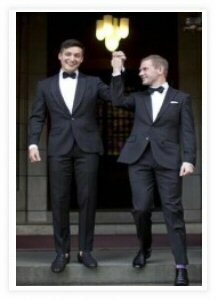 They may wish their ceremony to take place in a particular hotel, room or perhaps a former chapel that doesn’t hold the required licence for a legal marriage ceremony to be held. And for those who want their ceremony outdoors? In your garden. In a marquee. In a tent. In a teepee. You can have your celebration wherever you want. Of course, in the UK we cannot always rely on the weather to be favourable so you may like to consider an ‘in case of emergency’ place. We offer a tailored made ceremony for your needs and requirements. Your choice of vows to be exchanged or even write your own. You can include family and friends to poetry or readings. Your ceremony will be bespoke; it will suit your requirements; it will suit your budget and it will be what you want for your special day. We offer the alternative for your wedding ceremony. We will assist and guide you to the ceremony of your choice – your way. In England and Wales there are legal requirements that will directly impact of the type of ceremony you can have. A legal marriage service must be conducted in a local register office, in a church or a place with the appropriate licence. However, you may be surprised to know the only words that need to be exchanged are ‘I am’ (lawfully free to marry) and ‘I do’ (take this person to be my husband/wife). You do not need to exchange rings or any other vows. For the ceremony of your choice, your way, you can have the simplest marriage service in a register office then have the ceremony of your dreams – how you want and where you want. You can have traditional, classic wedding vows alongside your own personal vows. You can use this opportunity to have something completely different to any other wedding ceremony. You can do the legal process before or after your celebration.